Does being positive help you increase sales? Most sales training will tell you to be positive. What you expect to happen tends to happen. There is value in expecting good things to happen. There was even a popular movie a few years ago that spoke about using the “law of attraction” or using positive thinking to improve your life. Most sales people like a positive attitude because it feels good and we all want to feel good. Does having a positive attitude help you increase your sales? Does having a positive attitude have a dark side? It is wrong to think you always have to be positive about your business or your sales results. A positive attitude can be taken too far. You may have even said you just had a positive attitude, when you were really in denial about the facts. I know I have done that. Your positivity may cause you to not admit a problem that could cost you increasing your sales. In fact, you are probably in denial right now about a problem. If you faced that problem it would help you increase sales today. An overly positive attitude is like giving candy to a crying baby. When you give her the candy she will be happy until the candy is gone. Then she will cry again. You can only give her candy to solve the problem so many times. When she is 25, candy won’t fix her crying anymore. A lot of people say that perception is reality. That means that what a person BELIEVES is the truth, is THEIR reality. You can’t afford perceptions when you want to increase sales. You MUST know the facts about your performance. It is not easy to look at the brutal facts because we all have a filter that blinds us from seeing anything that we don’t want to see. This will stop you from seeing sales problems. You can’t fix what you don’t see. You must look at the reality of your business or sales career. A lot of sales people will say “that’s how we have always done it”. If you are thinking that then you are looking at reality as it WAS, not as it is. Other salespeople just hope the economy will get better. That is a problem of seeing things as you WANT them to be. If you are thinking any of those ways, you can forget about increasing your income. So what is reality? Reality is the facts. Facts are not open to argument. You made the income you made last month. Your income last month is a factual number. You make your prospecting calls or you don’t. 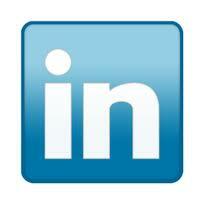 You are generating leads every day or you’re not. Those are all measurable facts. That’s one of the great things about business. You can specifically measure results. When you can measure results you have an opportunity to do something about them in the future by making changes today. The Truth is all that really matters. Good intentions are not enough. To increase sales it is all about your results. I would like to urge you right now to ask yourself some honest questions to grow your business. What problem have you been putting off fixing that could increase sales? What do you know works in your business that you used to do, but you stopped doing? On a scale of 1-10, 10 being excellent, how good are you at generating leads? What steps can you take TODAY to make progress on fixing that problem? 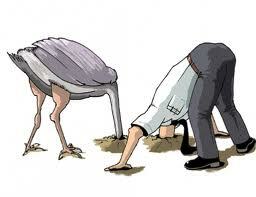 Get your head out of the sand today. To increase sales you must know the brutal facts and take action to correct them now. I wish you the best of success! 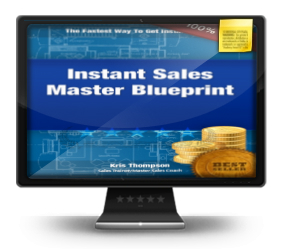 If you want help right now with how to get more sales click HERE to watch a FREE video on the “Instant Sales Master Blueprint”.